Ah yes, Polaroid - once a major force in the world of photography is now just a brand name slapped on random products (like home security cameras and TVs). Back in May, the company was sold again to another group of investors. But it looks like the new owners are happy to continue Polaroid's current product lines, as two new phones and a tablet were just announced. The two new phones are called the Cosmo K and Cosmo K Plus, leading me to believe someone at Polaroid is a Seinfeld fan (one of the main characters is named Cosmo Kramer). Both have an unnamed MediaTek processor, 1GB of RAM, a 13MP back camera, an 8MP front camera, a 2,300mAh battery, and 8GB of expandable storage. They also both ship with Android 6.0 Marshmallow, because why not. The only difference between the two devices is the screen - the Cosmo K has a 5" screen and the K Plus has a 5.5" one. Polaroid also announced a 3G-capable tablet, named the Jet C7 (pictured at the top of this post). It has a MediaTek chip, 1GB of RAM, 8GB of expandable storage, a 2,650 mAh battery, and Android 6.0. In the incredibly rare event that you want to take a photo with a tablet, the C7 has 5MP cameras on both the front and back. Polaroid says both phones and the tablet are available from Telcel in Mexico, but it doesn't look like the carrier lists prices on its website yet. MEXICO CITY, August 10th, 2017 - Today Polaroid, with 80 years on the worldwide market, announced the arrival of the newest members of the Polaroid Cosmofamily of smartphones and its new 3G tablet to the Mexican market. Based on a strategic alliance with Telcel and developed with MediaTek, Polaroid presents its latest products -- the Polaroid Cosmo Ksmartphone, the Polaroid Cosmo K Plus smartphone and the Polaroid Jet C7 tablet -- to complement the mobile solutions already offered in the Mexican market. The latest smartphones and tablet offer a new experience in multimedia functions in the mid-range segment and are faithful to the Polaroid brand DNA. The products have been developed on a chipset solution with MediaTek processors that incorporate advanced features into the phones and tablet. The strategic alliance between the two companies adds differential functions to the range of Polaroid products in Mexico. "MediaTek continues to work on implementing technologies that enable better connectivity for its modems, as well as a better camera experience, on-screen content viewing with Miravision and improvements to battery consumption with its CorePilot system," said Alexander Rojas, Manager of MediaTek in Mexico. "This alliance allows the implementation of new functionalities focused on the needs of users." The Polaroid Cosmo K is a trendsetting smartphone that opens new photographic possibilities with its 13 MP rear camera, 5 MP front camera with selfie flash and advanced photography tools. Enjoy your favorite entertainment with surround sound on a 5" screen to discover a multimedia world full of color and sound. With 8 GB of internal memory and the ability to expand the phone’s memory up to 32 GB with an external MicroSD card, the Polaroid Cosmo K can store every moment of your life. Available in gold, the smartphone also features a quad-core 1.3 GHz processor, 1 GB of RAM and a 2,800 mAh battery. Additionally, the Polaroid Cosmo K smartphone comes with two stylish silicone cases to provide extra protection for your phone. The Polaroid Cosmo K Plus smartphone allows you to capture every moment with its 5.5" screen, 13 MP rear camera and 5 MP front camera with selfie flash. Save all your memories and adventures on the 8 GB of internal memory, or expand your memory up to 32 GB with an external MicroSD card. 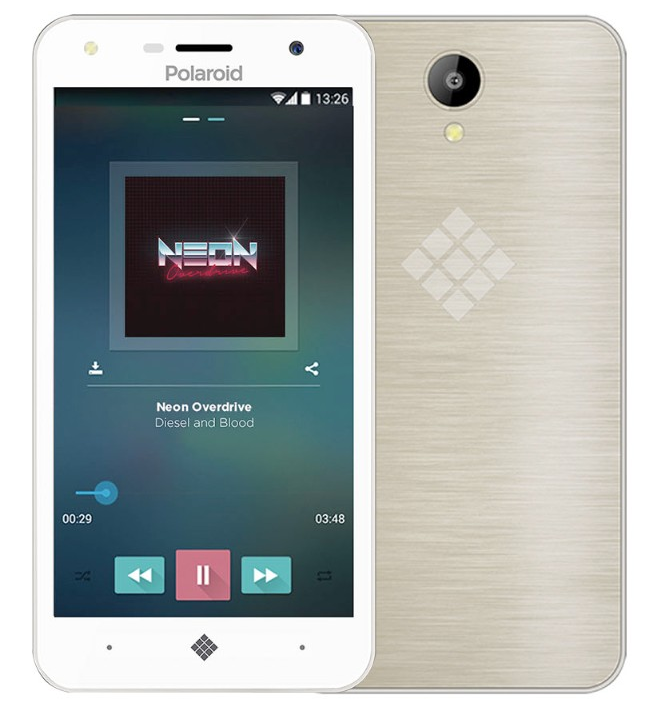 The Polaroid Cosmo K Plus smartphone, available in silver, is equipped with a quad-core 1.3 GHz processor, 1 GB of RAM, a 2,800 mAh battery and runs on the Android 6.0 Marshmallow operating system. It also includes two sleek silicone covers to protect your smartphone. The Polaroid Jet C7 is a 3G tablet with 5 MP rear camera and 5 MP front camera with selfie flash and advanced photography features. The tablet’s 7" screen is ideal for staying productive, making it easy work on documents and presentations. If you're looking to get connected, the Polaroid Jet C7 is the perfect option as it features call and instant messaging services for uninterrupted connectivity. It has a quad-core 1 GHz processor with 1 GB of RAM, 8 GB of built-in memory with the ability to expand up to 32 GB, a 2,650 mAh battery and runs on the Android 6.0 Marshmallow OS. 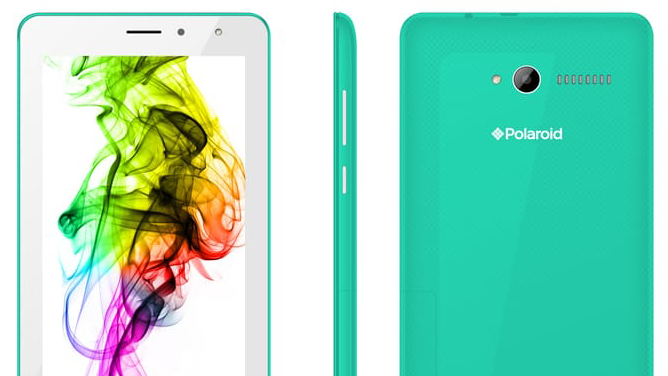 The latest Polaroid smartphones and tablets are currently available at Telcel.